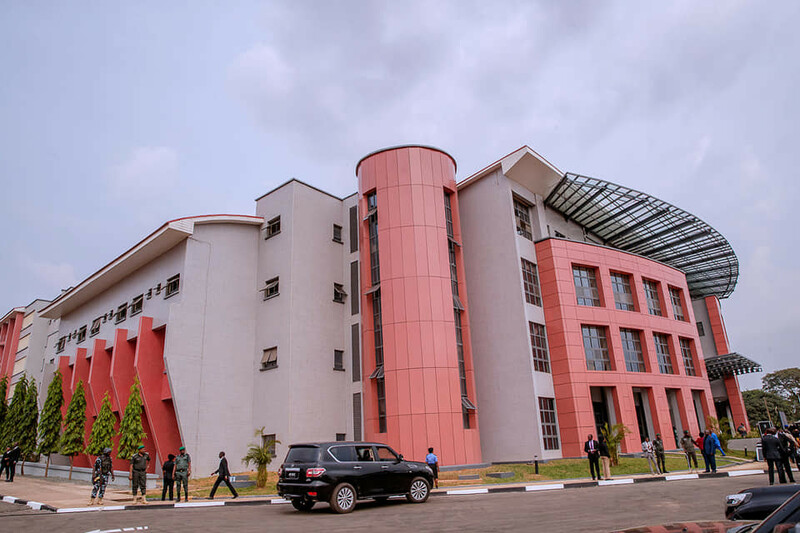 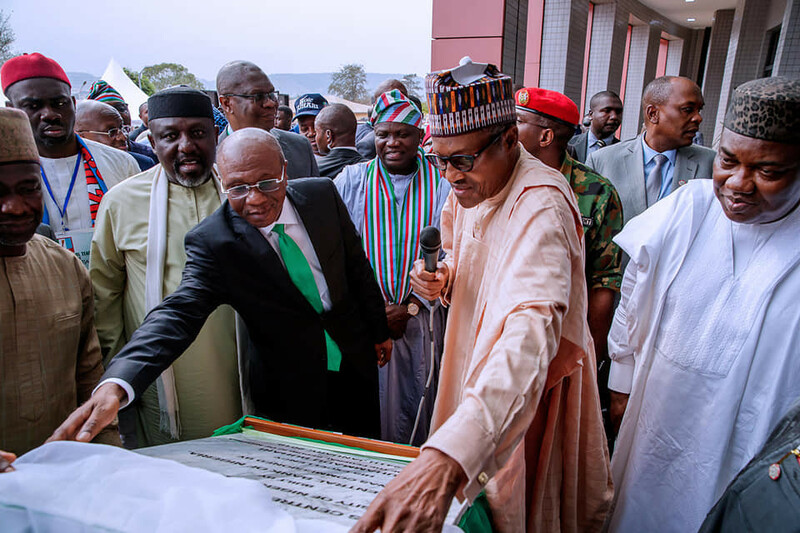 Today, President Muhamudu Buhari commissioned the Centre of Excellence University of Nigeria Enugu Campus facilitated by Central Bank of Nigeria. 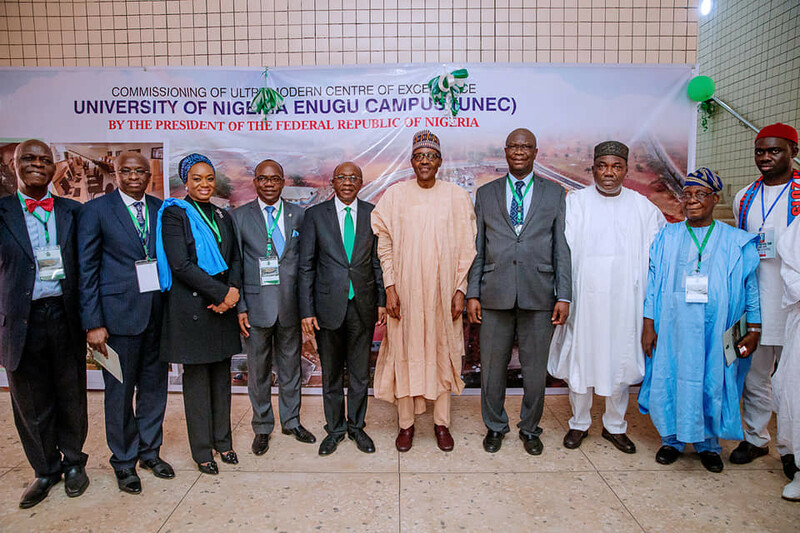 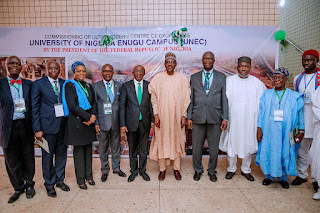 Buhari was pictured alongside with VC of UNN Prof. B.C. 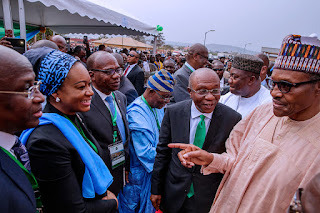 Ozumba, Enugu State Governor Ifeanyi Ugwuanyi, CBN Governor Godwin Emefiele and Minister of Labour Chris Ngige.